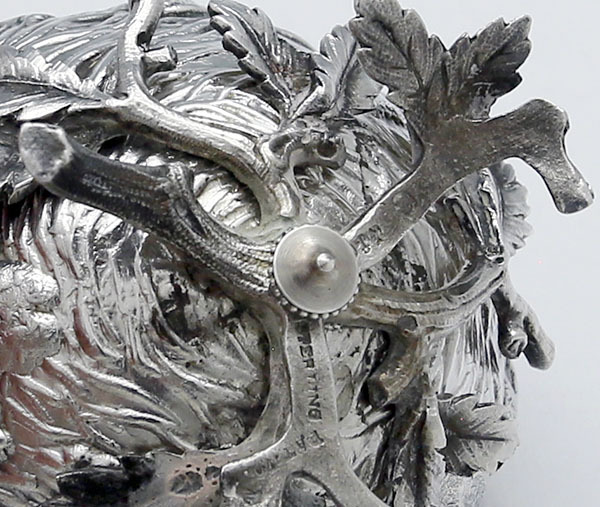 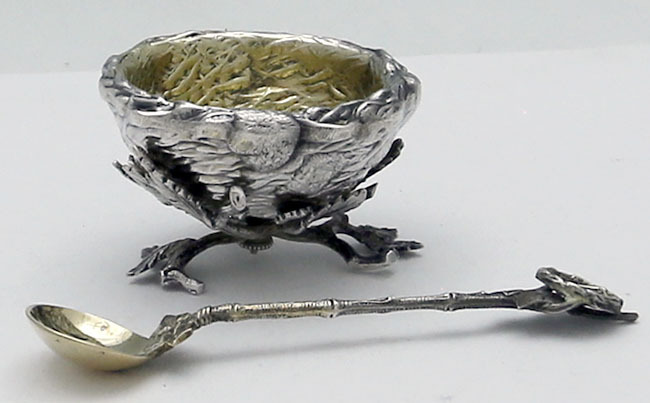 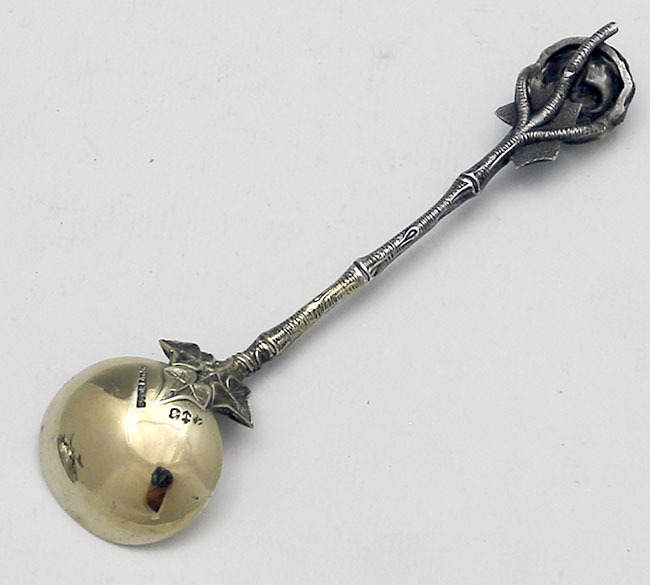 A rare Gorham Bird's Nest antique sterling silver master salt and spoon with intricately cast base held in place with an original milled nut. 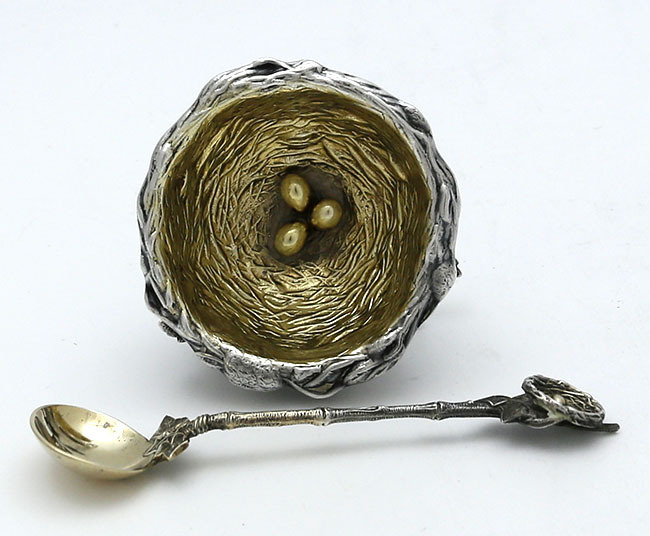 The gold washed interior has three eggs at the center. 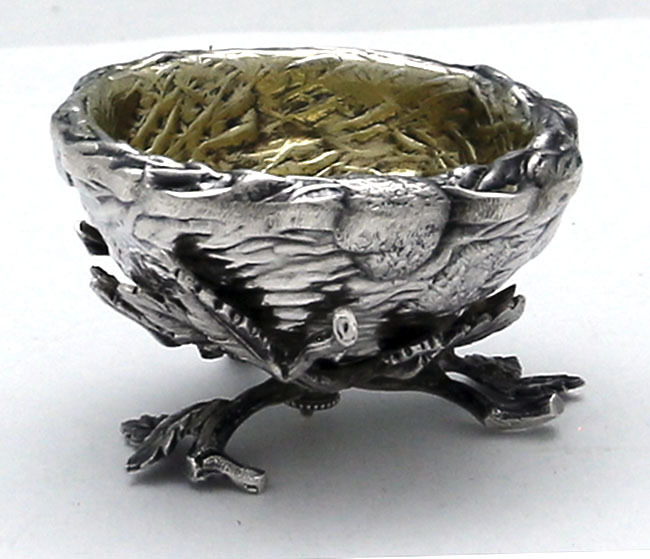 Height of salt 1 1/4".